There’s a new tradition in my extended family clan. For decades, my many divorced and remarried parents and brothers have created turmoil when holidays roll around and everyone vies for “who get’s Christmas” or Thanksgiving or Xmas eve. Finally, my father and stepmother decided to declare Christmas Eve as their night, for the first time about 4 years ago. They invited everyone, and when the night finally arrived I was the only of 4 sons and two other couples to arrive. It was the three of us, set to enjoy a 10 lb. prime rib roast and the cherished set of three bottles of wines I had brought. 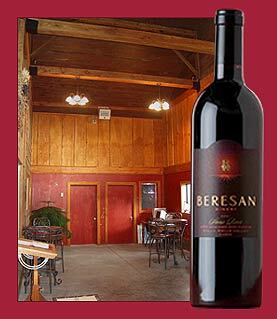 These were three bottles from Beresan Winery of Walla Walla, including the limited Carmenere, a benchmark Cabernet Sauvignon, and their pinnacle Stone River blend, all created from the care and expertise of winery owner Tom Walliser and winemaker Tom Glase, whom I had met in the preceding year. I had been fully impressed by both the scores and flavors of these rich, full-bodied, massive-fruit-filled and very balanced age-worthy wines. Of 4 releases available for retail sale, none had a score below 91, and for several years there were few wines that didn’t reach this benchmark. 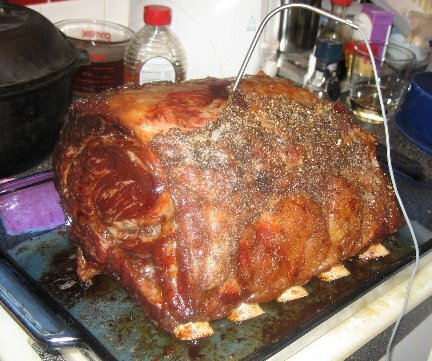 But that holiday we established a tradition…I am now the sole guest for a Beresan & Prime Rib dinner each Christmas Eve at my father’s house. The match is perfect. And this Stone River blend will not fail to impress. Age it for many years if you wish, but it’s ready to go now, with impressive balance for such enormous body and fruit. Why wait? This wine is regularly sold for $36.99, but is available to wine club members for only $32.99! Complete a short puzzle and match the cuts of beef to the cow! Stracotto (beef & red wine) from Salut! Wine Co.